I was actually starting to get excited about the future of gay cinema again, especially after seeing Ron Satloff's charming romantic comedy, Misconceptions, as part of Gay.com's triple feature of gay themed films that is currently making the rounds in larger cities. But then I saw Ben Waller's Murder in Fashion, as ugly, as sloppy, and as exploitative a film as I have ever seen. It is a sleazy, trashy soap opera about beautiful boys doing bad things, and a great example of why gay cinema is in the gutter. Photo courtesy of Here Films. Murder in Fashion is a film that is impossible to take seriously from any legitimate cinematic point of view. It is essentially a serial killer drama, telling the true story of Andrew Cunanan (Jonathan Trent), a 27 year old hustler who makes a living by taking up with wealthy, closeted middle aged executives, while going out and revelling in drug fuelled debauchery at night. Cunanan lives off his sugar daddies, but is starting to feel his age catch up with him. In a world as shallow as his, a 27 year old is no longer a boy toy, even with his angelic, boyish looks. Soon, he finds himself in a desperate situation, and longing to become part of the entourage of renowned fashion designer, Giovanni Versace (Robert Miano), thereby becoming a model and recapturing his sense of youth. When he is rejected by Versace, however, the blow is more than he can stand. Soon, his desire becomes an obsession, and as his psychosis grows, he sets off on a nationwide revenge killing spree that will lead him to the infamous murder of Versace himself. The ending is a forgone conclusion, but the film never sheds any light on Cunanen or his motivations. 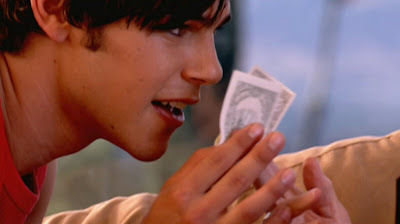 He's a young gay man driven by looks and fame, but the film is more interested in exploiting his good looks and wild lifestyle. This is gaysploitation at its worst, treating its subject in a way every bit as shallow as he is. 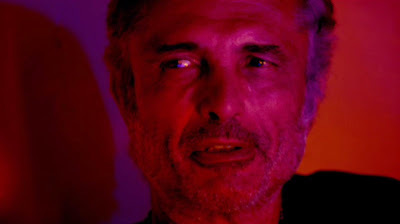 It follows Cunanen on his grim quest, interspersed with homophobic FBI agents' quest to capture him, and can't seem to decide if he is a tragic figure or someone to be reviled. The film is an absolute mess, a repulsive jumble of half-baked ideas and aimless structure that ultimately leads nowhere. It is pockmarked by some truly bad performances that give the relegate the film as a strictly second rate, amateur hour affair. Mixed with some appalling ill-concieved lighting, the film just looks bad, and the performances only serve to drag it down. It's often so laughably bad that one can't help but wonder if this is all a joke, some large scale "Punk'd" on gay audiences, who are expected to lap up this dreck because that's all there is. Gay cinema has never been known for high quality, despite making a few high profile in-roads in the last decade. The same goes for any kind of niche cinema. But Murder in Fashion is the worst kind of expoitative trash, a truly loathsome film that leaves a bad taste in the mouth and a stain on gay cinema as a whole. Gay audiences deserve better than this. 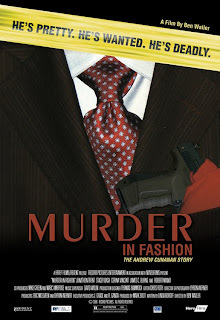 MURDER IN FASHION; Directed by Ben Waller; Stars Jonathan Trent, Robert Miano, Stacey Dash, Cerina Vincent, Saul Herckis; Rated R for violence, language, some sexual content and drug use. Now playing at the Quad Cinemas in New York, and the Laemmle Sunset 5 in Los Angeles as part of Gay.com's film series.